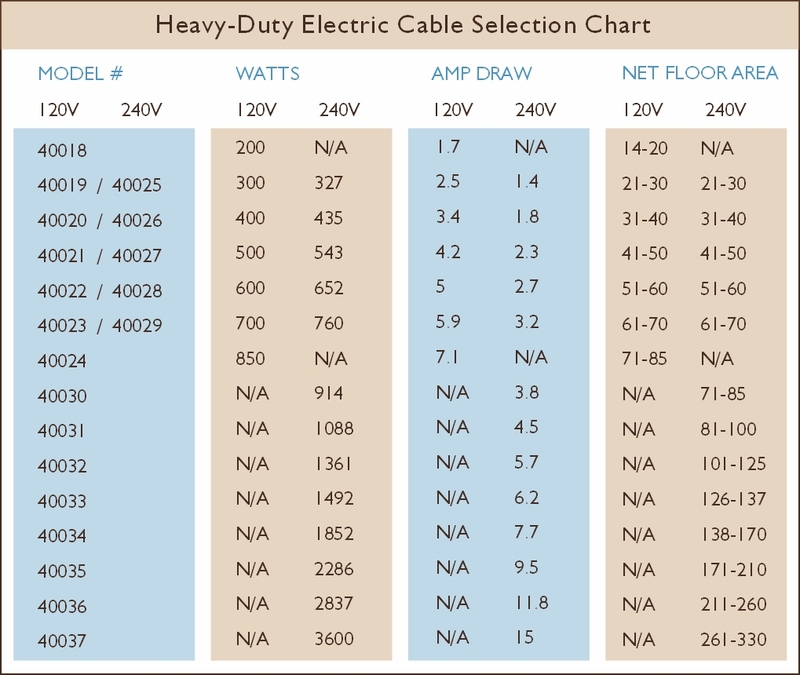 Infloor offers a premium Heavy-Duty Electric Cable that is ideal for large areas, entire homes, buildings, and offices, new construction, and outdoor surfaces. The thicker cable is manufactured by Nexan, includes a 30-year limited warranty, and is approved to be embedded into concrete (requires 5/8″ embedment) and used in wet locations. 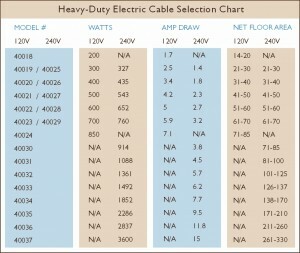 Heavy-duty electric cable works well with all kinds of floor coverings including hardwood, carpet, tile, and laminates. The pre-engineered heating units are ready to use and available in many sizes that can fit almost any room, regardless of shape or size. Each unit is ready to be installed by simply laying the cable on the floor in loops of a specified distance. No extra building materials are needed. The unique patented cable is designed to provide the ultimate safety for both dry and wet environments. Every element is thoroughly tested during production to ensure a quality, long lasting product you can count on for years to come.